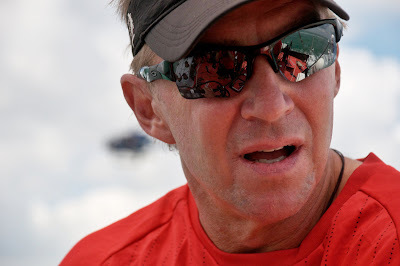 Photo Rick Deppe/PUMA Ocean Racing/Volvo Ocean Race PUMA Ocean Racing skipper Ken Read at the start of leg 4 of the Volvo Ocean Race. 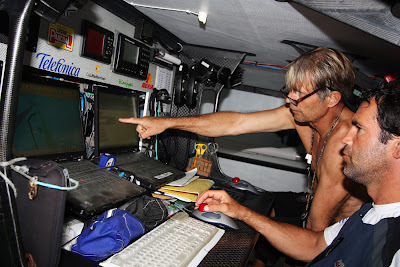 Photo Gustav Morin/Ericsson 3/Volvo Ocean RaceNew crew member Klaes Nylof onboard Ericsson 3. 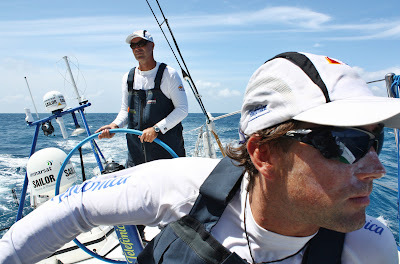 Photo Gabriele Olivo/Telefonica Blue/Volvo Ocean Race Iker Martinez lookong for the wind while Bouwe Bekking is driving. 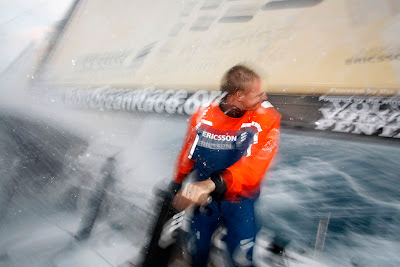 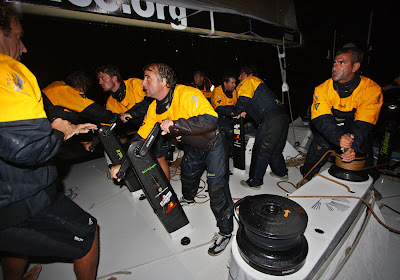 Photo Mikel Pasabant/Telefonica Black/Volvo Ocean Race Telefonica Black battle through the squalls. 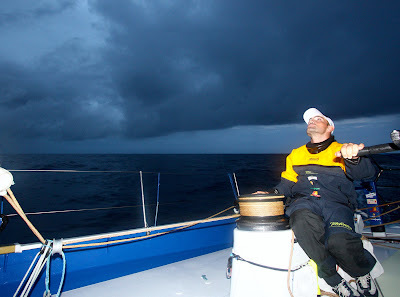 Photo Gabriele Olivo/Telefonica Blue/Volvo Ocean Race Xabier Fernandez trimming as a storm approaches Telefonica Blue. 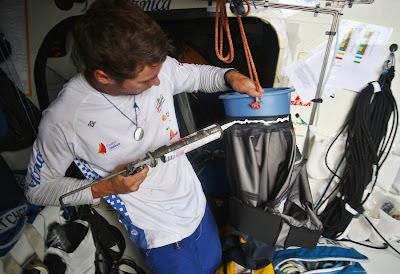 Photo Gabriele Olivo/Telefonica Blue/Volvo Ocean Race Bowman Daryl Wislang sealing up the wet weather gear after his neck seal broke on day 1 onboard Telefonica Blue. 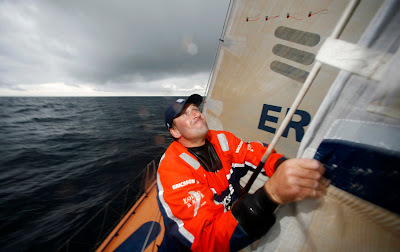 Photo Gustav Morin/Ericsson 3/Volvo Ocean Race Anders Dahlsjo wrapping the staysail onboard Ericsson 3.